Rx Filling Service Available: Click "Add to Cart" and let ESS' skilled optometrists fill your prescription lenses. 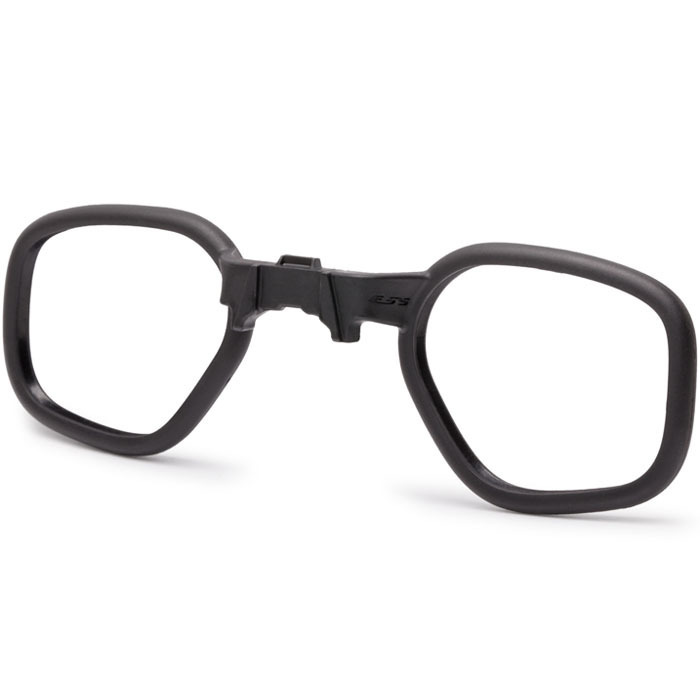 The U-Rx Prescription Lens Insert was developed to be the most comprehensive and adaptable Rx Solution ever made. This universal Rx carrier is the first to interchange across brands in a wide variety of ESS and Oakley ballistic eyeshields and goggles. The nylon-frame U-Rx is approved by the U.S. Army for the new APEL and MCEPS standards*. 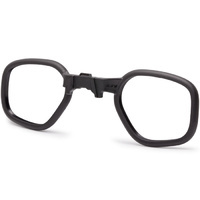 Features two sets of nosepieces and goggle adapters for both ESS and Oakley products. The durable U-Rx accommodates a wide range of corrections from +11.00 to -11.00 total power,and can be filled through ESS' skilled optometrists by clicking "Buy Now" and selected "Yes" for the ESS Rx Filling Service. Please allow 3-4 weeks for the prescription order to be fulfilled. *APEL Note: The U-Rx is APEL-approved for use in the ESS Crossbow, ESS Profile NVG, and Oakley M-Frame 2.0.